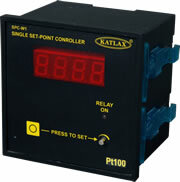 KATLAX offers range of relay units with rail mounting facility which take proximity switch signal as input and convert it into required control logic. 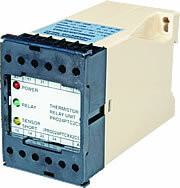 Relay units for other control panel requirements are also included. 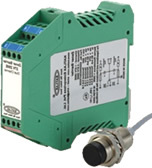 This unit acts as interface for NAMUR Proximity Sensors especially used in HAZARDOUS areas. Very low signal current change produced by NAMUR SENSOR placed distant in Ex-proof area is amplified by this unit to give output relay changeover which can be used for system automation. 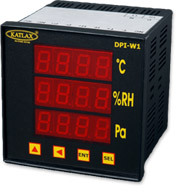 Display Type : Seven Segment Red 0.56"
Weight : Approx. 380 gm. Display Type : Seven Segment Red 4.0"